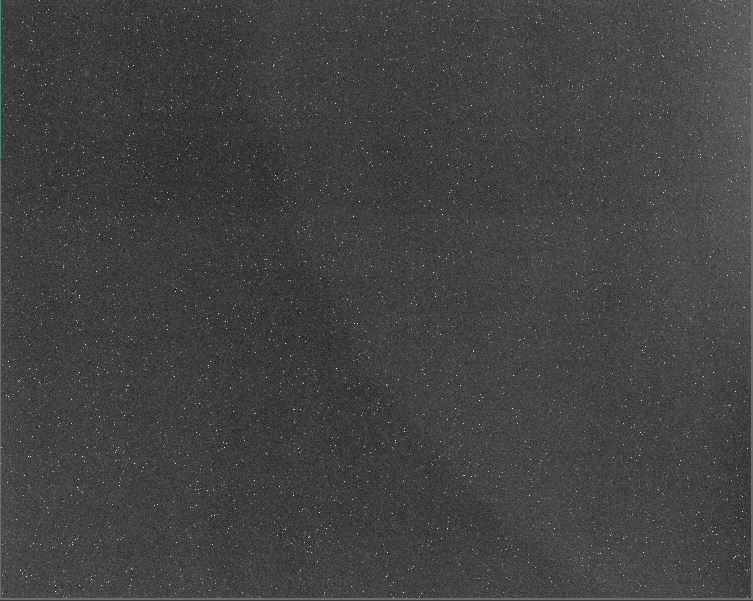 I'm having problems with dark frames using my FLI 16200 microline CCD camera. The problem was present when it arrived as new. All my dark frames have two gradients across the image, one curvalinear from the top to the bottom and one horizontal across the upper third of the image. The same artifacts occur at all imaging times (30s, 300s, 600s, 1200s) with the imaging done in a dark closet, with the camera alone and covered, or with the telescope mounted. No changes occur whether the samples are obtained with SGP or the FLI grab acquisition. No light leak is present with careful high intensity flashlight shining on the camera. The gradients are difficult to remove in Pixinsight but can be done. The attached image is a jpeg of 31 stacked 1800s images processed in Pixinsight. The image is STF autostretched. Does the camera need to go back for service? Any suggestions would be appreciated. Thanks to all. Just curious. Are you SCALING your darks when calibrating your lights? If this issue is consistent, then it is a form of DFPN (dark fixed pattern noise). Try calibrating again, but this time, make sure you find and disable any option to scale or optimize the dark frames. Your dark frames MUST match the light frames in terms of gain, offset (if configurable), temperature and exposure length for them to work without scaling. But when DFPN is present, you do not want to scale, as scaling can result in patterns becoming missmatched. Try calibrating with an unscaled, well-matched master dark, and see if the lights look correct. Thanks Jon. I reviewed my settings in Pixinsight and I did have "optimized" enabled on the final image calibration sequence. I always used the same dark exposure as the lights however. A quick run through of a data set does look better. I'll add a follow up here when a complete processing sequence of 1800s is completed from an old data set. Hopefully this will solve the problem. I know a lot of people think that CCDs don't have any of the same issues as CMOS sensors, however they actually are not really any different. FPN is often more consistent with CCDs, but it still exists, and depending on the nature of the silicon substrate of the sensor, larger scale structures may be present. Sometimes these structures become more obvious the deeper you cool, especially if you have issues with charge traps (RBI). In any case, structured FPN is possible with both kinds of sensor technology...and the simple solution is just to make sure you don't scale your darks. Your circular shape isn't much different, in terms of the mechanics of calibration, than amp glow on a CMOS sensor. Jon, you are batting 1000%. As you suggested, I reprocessed my data from Pacman nebula, NGC 281 (over 16 hours) in NB Ha5, Oiii3, and SII3 with "optimized" unchecked in image calibration on the master dark input. I selected this target because it was a small target on the relatively large background provided by the 16200 sensor. This allowed optimal evaluation of the previously seen gradients encountered in my processing. I used correct flats, 1800s darks to correspond to the 1800s acquired lights. All processed in Pixinsight. The initial preprocessing was BEAUTIFUL with only very minor gradients easily resolved with either DBE or ABE. The awful gradients seen previously are completely gone. This was really an eye opener. Jon, you are the best. Thanks for looking and solving my problem. I really appreciate your input. I was about to post and just saw your last response. Glad to hear it worked out for you. I have a FLI ML16200 with horizontal and vertical dark artifacts very similar to yours, and with long enough exposure I also see the curve patterns that are the response left behind from the manufacturing processing of the chips. I also found that proper calibration of NB images largely removed all these structures. I match the cooling temperatures and exposure times of between darks and lights and also match the temps of my flats. And, as Jon recommended to you, I also turn off all those extra dark calibration settings in PI. I would be very interested in seeing how well you are able to calibrate wide band frames using your L, R, G, B filters. Hopefully you will also be able to effectively remove any dark artifacts using the same method. Please post those if and when available if you don't mind. If you don't want to post them, then a private message would also be appreciated. Thank you!